The suspected cannabis farm found in Hartlepool. Suspected cannabis plants with a street value of £6,000 have been seized by police in Hartlepool. Officers from Cleveland Police swooped on a house in Iber Grove this morning. They recovered 12 suspected cannabis plants, and although no arrests were made, a 27-year-old man was interviewed voluntarily by police officers. A spokesman for Cleveland Police said: “Officers from the Hartlepool Neighbourhood Police Team executed a drugs warrant at a property on Iber Grove in Hartlepool this morning. “Twelve suspected cannabis plants were recovered from the premises which had an estimated street value of £6,000. 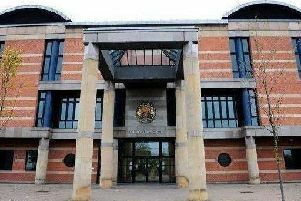 “No arrests were made at the address – however a 27-year-old man was interviewed voluntarily in connection with the offence.